New iOS 11 Compatible Now! Accidentally deleted contacts, photos and other files from your iPhone and iPad? Frustrated that your iPhone is stolen or damaged and important files have gone for good? iOS 11 upgrade wiped off all data from your iPhone? You can leave all the mass to UltData (iPhone Data Recovery) for Windows and it will offer you 3 methods for restoring deleted data on iPhone. 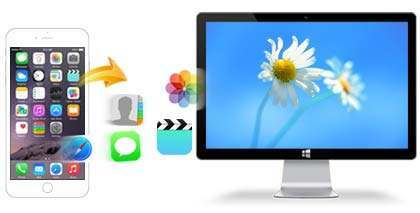 Recover data directly from iPhone without backup – Connect your iPhone to PC and then recover lost or deleted files directly from iPhone. No need to have iPhone backup. Restore data from iTunes backup – Recover iPhone data by extracting iTunes backup file. No need to connect your iPhone during the recovery. Even you deleted your backup file, this software can help you restore it and extract iPhone data from it. 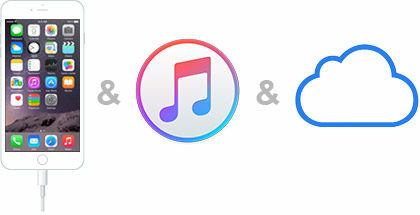 Retrieve data from iCloud backup – Download contents in iCloud backup for preview and recover. 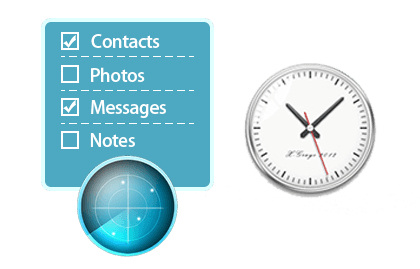 Call history, Text Messages (including iMessages, WhatsApp/Tango/Viber messages), Notes, Calendar, Recordings, Reminders and Safari Bookmarks. These files will be retrieved in .txt, .xls, .xml, etc. In addition, contacts can be saved as vCard/VCF files as well. Photos, Videos, SMS attachments, Voice Memos, Viber call, etc. All media files will be recovered to their original formats with no quality loss. 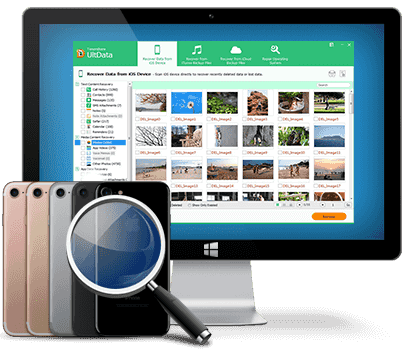 Recover, backup and extract photos and videos on apps like WhatsApp, Instagram, Flickr, iPhoto, iMovie and Kindle. Want to do a quick scan for your iPhone/iPad/iPod to get back deleted or lost data instantly? Since the scanning time depends on the number of the file that you will choose to scan on your device, the new released UltData (iPhone Data Recovery) makes it more quick and efficient by allowing you selectively scan the target files to save your precious time and offer you a wonderful scanning experience. Scan either “Deleted data on the iDevice” or “Existing data on the iDevice”. Supports to scan multiple files, including Messages, Contacts, Call History, WhatsApp, Photos, etc. Select all iOS files for a comprehensive and deep scan. Selectively scan for a quick scan to shorten your time spending in scanning. Print recovered iPhone photos, text messages, contacts with 1 click. Deeply scan iPhone, iTunes/iCloud backup for lost data. Tired of the limitations of iTunes backup and iCloud backup? Why not try backing up with UltData (iPhone Data Recovery)? It's easier and more convenient. With just a few clicks, you can back up all kinds of iPhone data to your computer or copy to other storage devices. Even something happens to your iPhone (damage, broken, stolen), you still have access to important iPhone data on your computer. From your computer, you can clearly view the backed up data which will be exported to your computer and saved in a folder. Get iPhone/iPad/iPod out of recovery mode, DFU mode. Fix iPhone, iPad stuck in reboot loop, Apple logo, black screen, white screen. Fix missing or corrupted system-related files by reinstalling the iOS firmware. UltData (iPhone Data Recovery) is fully compatible with all iOS devices release to date, including the latest iOS 11.
iPhone: iPhone X, iPhone 8, iPhone 8 Plus, iPhone 7, iPhone 7 Plus, iPhone SE, iPhone 6s/6s Plus, iPhone 6/6 Plus, iPhone 5s, iPhone 5c, iPhone 5, iPhone 4S, iPhone 4 and lower. iPad: iPad Pro (12.9-inch and 9.7-inch), iPad Air 2, iPad mini 3, iPad Air, iPad mini 2, iPad 4, iPad mini, iPad 3 and lower. iPod: iPod touch 6, iPod touch 5g, iPod touch 4g, and others. Users of UltData (iPhone Data Recovery) Have Surpassed 770,000+ Worldwide. I have more than 300 photos on my iPhone Camera Roll which was wiped off after updating to iOS 10.3. Thanks to the iPhone Data Recovery tool that recovered all my pictures, great job!